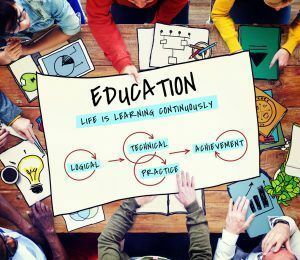 Education helps prepare you both intellectually and socially as you look to start your working career, not only by giving you better opportunities to higher paying and skilled jobs, but by leading to overall stability and happiness. OCPS’ Orange Technical College offers Central Florida residents high-quality education at an affordable cost with a focus on skills-based learning. Offering more than 60 career certificate programs, you can get the education needed to begin a career in a high-demand, well-paying industry. Generate more income. Many people are choosing to get an education knowing there is the potential to make more money in their careers. With the United States becoming an economy based on knowledge, education is serving as a pathway to better options and more opportunity. Better benefits. Jobs that require more than just a high school diploma tend to offer more benefits such as healthcare, paid time off, and retirement investment benefits. Employment benefits are important because they provide more stability for your family, especially regarding healthcare. The benefits of an education are also important to the generations after you. Educated parents can usually offer their family a better life economically and socially, and at the same time can invest in to the future of their family by being an example for their children who will hopefully follow an educational pathway. Greater growth opportunities. Many employers see those who further their education as hard workers. It takes a lot of dedication and persistence to complete schooling, especially as you get older and your responsibilities change sometimes creating more challenges to overcome. Employers see your commitment of time and money to further your education as a down payment on your success. Most likely they are also more willing to invest in your achievements as well when it comes to promotions and helping you further your career. Job security. Having a post-secondary education is so important to companies, some are even willing to help pay for their employee’s tuitions. These companies see education as an investment that will not only reward the employee but their business as well. At The Jobs Partnership, we partner with Orange Technical College and other educational partners, who work with our LifeWorks Program graduates to change their lives by helping them determine their pathway to success. OTC offers short-term career programs by working with multiple companies to get their students on the job as soon as possible. Learn how The Jobs Partnership and Orange Technical College can help you get started mastering the skills needed to make you more marketable to employers and fulfill your career dreams by calling us at 407-641-0755.